Mac OS X is a pretty sweet operating system. Most Mac users are generally satisfied with their choice of OS X. However, there are still those times when good old Windows would come in handy. Luckily, you donâ€™t need to make a â€œfull switch from OS X to Windowsâ€ if you have a Mac. You can run both OS X and Windows from the same computer. Thus, installing Windows on your Mac. In fact, a good percentage of Mac users choose to run both Windows and Mac, particularly for things like gaming, Windows Microsoft Office, etcâ€¦ There are a variety of ways that you can run Windows on a Mac computer. Here are some of the most popular. Mac computers (iMac, Mac Pro, Mac Mini, MacBook, MacBook Pro, MacBook Air) all come equipped with Appleâ€™s Bootcamp software. Bootcamp allows Mac users to run a second operating system, like Windows 7, on a Mac by partitioning their hard drives. As the name suggests, using Bootcamp requires that you boot into one operating system or another, at startup. Bootcamp is completely free to use. One pro of using Bootcamp is that you get a direct install of Windows. Whether you are using Mac OS or Windows, you are only using one operating system at a time. Thus, all of your computers power goes to running that operating system. One downfall of using Bootcamp is that you cannot easily share files between Mac OS X and Windows (Update: My buddy Ross told me that this is not entirely true. Check out his article on how to share files between Mac and Windows). Also, you have to restart your computer each time you want to switch operating systems. Parallels Desktop is a premium virtualization software for running Windows on a Mac. In fact, Parallels was the first official software allowing Windows to be run within OS X via virtual machines. Installing Windows on a Mac using Parallels is very simple, and similar to installing any program on a Mac. Simply install Parallels, insert a Windows 7 DVD, flash drive, or ISO file, and install using a step-by-step wizard interface. One strong benefit of using Parallels is that you can run Mac and Windows simultaneously, making file sharing between the two operating systems extremely easy. Parallels opens and closes just like any other application on a Mac, meaning no restarts required to use either operating system. One disadvantage of using Parallels is that it eats up more of your Macâ€™s memory, but itâ€™s not really a problem if you have at least 2GB of RAM. Vmware Fusion is another virtualization software, very similar in nature to Parallels. Fusion does differ from Parallels in that it has a different layout, interface, and a couple of different features. However, the functionality, pros, and cons are the same. Virtual Box is a 3rd virtualization software allowing Mac users to run Windows using virtual machines. Although it holds the same basic concept of Parallels and VMware Fusion, it does not have as many bells and whistles. No complaints though, Virtual Box is open source, completely free. 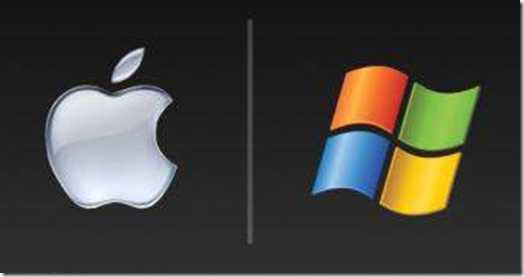 Three out of the four major ways to run Windows on a Mac are virtualization software. Bootcamp, the non-virtualization method, is a great way to run Windows on a Mac completely free. However, it does have some disadvantages. Virtual Box, the free virtual machine software, offers the same core concepts of the two premium applications, Parallels and VMware Fusion. However, it does not have the simplicity and convenience of Fusion and Parallels, and does lack some premium features.